On this page you will explore terms and concepts relating to Alpine environments and the risks associated with climate change. Watch NASA's video (above which explains the increased CO2 in the atmosphere. Click on the video below to watch the CSIRO interview with Dr Karl Braganza. List 5 ways that the Bureau of Meteorology monitors weather patterns. 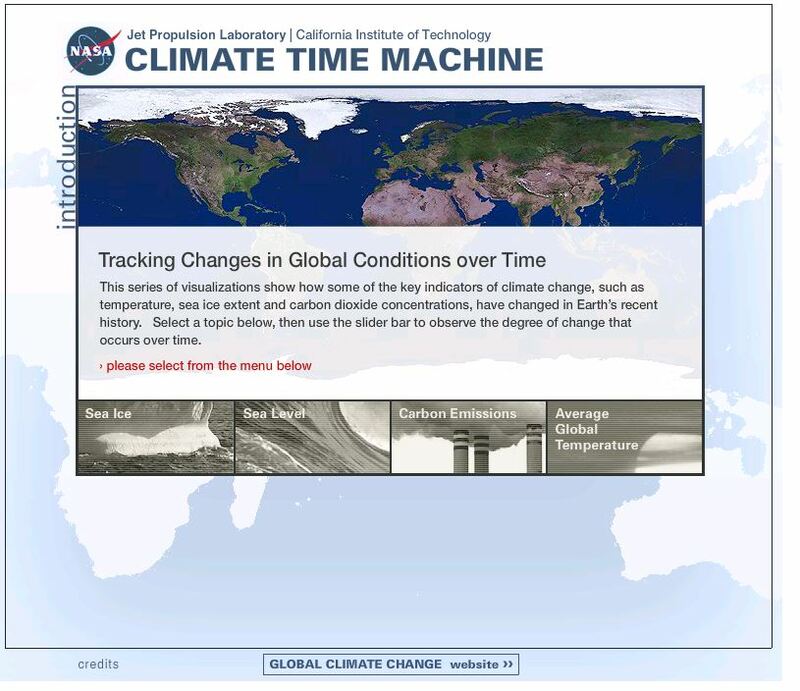 Click on the image to the right to visit the NASA time machine interactive. Explore the 4 tabs (Sea Ice, Sea Level, Carbon Emissions, Average Global Temperature). Describe the changes you observed in one of the 4 tabs. Click on the image to the left to complete an Environmental Footprint Calculator. Using either a screen shot or text, record the number of planets you are currently using. 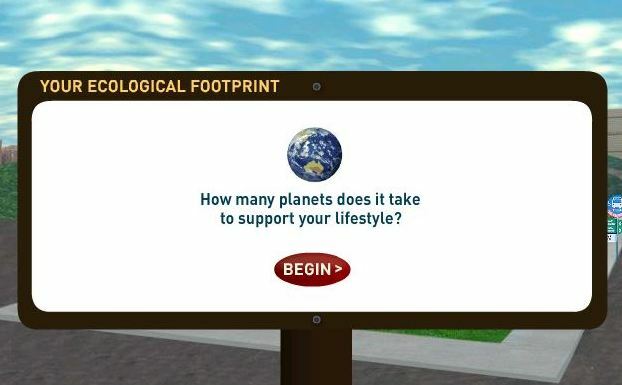 Using suggestions from the Ecological Footprint Activity or the Sustainable Living Guide, complete the following task. List any suitable actions you, your family or your school currently do. List at least 5 other SLAs you know about. Have a chat with your folks about their thoughts on climate change and add any comments that you think sum up their opinion. What do they know about climate change? Are they concerned about climate change? Are they doing anything or do they have an opinion about what needs to happen in relation to climate change issues?